SEO is something that can make or break your site. With so many websites vying for customer attention online, many people turn to questionable tactics just to get better ranking. This has resulted in many SEO horror stories, giving birth to myths that are widely circulated. These can be very misleading, especially for businesses still gauging where they belong in the SEO game. 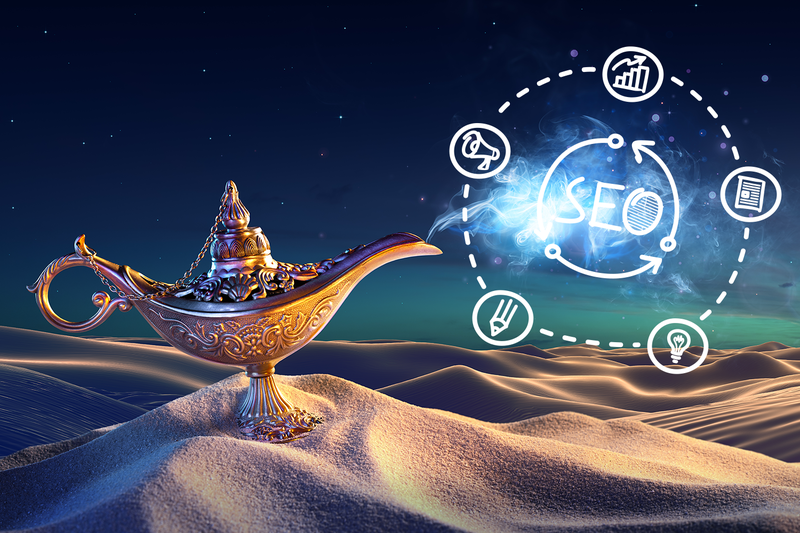 So to help you get started, below are the top five myths on SEO, debunked. Too often businesses fall into the trap of thinking that SEO should be done once, and allowed to gather results on its own over time. The truth is, patience is something you need with SEO, especially because good results are not readily there. It's something you need to continue working on for a long time. Maintaining SEO efforts is crucial because of link rot, evolution of search engine algorithms and updates, continuous competition, outdated content and the publishing of new pages, plus many more factors. The Hummingbird update from Google essentially replaced keywords with topics and concepts, making keyword targeting unessential. In this day and age, keyword research has become less straightforward, but it is still a very important aspect of your strategy. Updates have meant that keyword research has extended beyond manual activity, becoming more complex in nature. Google has not openly declared keywords to be unimportant now, but just remember that the search engine has evolved to become more understanding, taking into consideration relevant concepts and context in addition to search phrases. It's something that's been repeated lots of times. Google is against link building for SEO, as laid out in the search engine's Webmaster guidelines. In it, links that purportedly try to influence the ranking of a site in search results can be pinned down as part of a link scheme, which violates Google's Webmaster guidelines. The idea is that sites should acquire natural growth over time, especially if rules for great content are followed. But in a world where everyone is doing link building, it's easy to get left behind. Despite what Google says, links are still influential when it comes to rankings, the most important aspect of your SEO strategy. Aim for high quality links from reliable sources. Make sure that you check what kind of links work best in your industry. Do your research by looking at the link profiles of your big competitors. There is good SEO, and then there is bad. Bad SEO consists of manipulative tactics or "tricks" that get sites penalised. Often, bad tactics, such as putting more keywords in title tags, are what managers think SEO should be. This leads to the thinking that SEO is all about tricks to get people to click more. Real, quality SEO contributes to the organisation of content, making the browsing experience better. This includes content that is more visible for prospects and search engines as well as content that improve accessibility through user experience and site structure. SEO is all about sharing fresh content with the right audience, improving exposure and getting more traffic for business. "SEO is unnecessary for my business"
Some businesses may think that SEO is irrelevant when it comes to their industry, but when it comes to the web, if you want to be seen, SEO is what you need. With billions of web searches each month, you need to get found easily if you want to do more business over the internet. Some markets may have minimal search usage, but just remember that the world has become even more connected than before, especially with the rise of mobile in the business world. Use market research to make sure you understand your industry and where you can start building your influence. With these SEO myths debunked, you can start focusing on the right efforts to get seen online. Make sure to stay away from these misconceptions to avoid falling into the darker aspects of SEO.